Happy Year of the Pig! February 5 marks the start of the Chinese Lunar New Year, a time for celebration, which includes family dinners, dragon and lion dances, lantern festivals, firecrackers, and lucky red envelopes (hongbaos) filled with cash. In Chinese astrology, each year of its twelve-year cycle is associated with one animal of the Chinese zodiac. Those born in the years 1935, 1947, 1959, 1971, 1983, 1995, 2007, and 2019 are a pig, the twelfth and final sign of the Chinese zodiac. Those born on a year of the pig are said to be compassionate, generous, calm, self-sufficient, and diligent, capable of achieving their goals. Pigs are also known to be trusting, which can make them vulnerable to being deceived. Click here to find more about the traits and characteristics of those born under the pig sign and to learn about the other eleven Chinese zodiac animals. 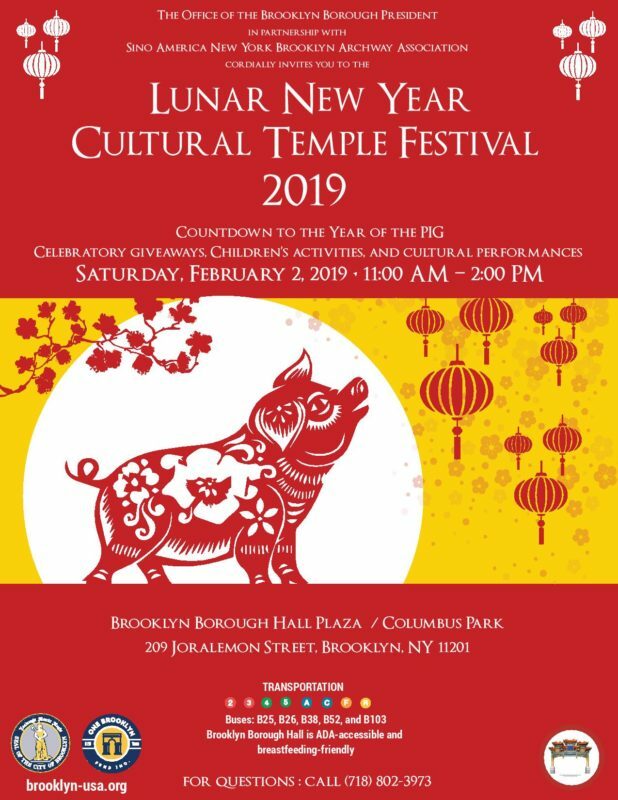 What: Brooklyn Borough President Eric Adams and the Sino American New York Brooklyn Archway Association are hosting a countdown to the Lunar New Year with live cultural performances, children’s activities, and giveaways. What: Along with various family-friendly programs at the Prospect Park Audubon Center, the Prospect Park Alliance is hosting an event to celebrate the Lunar New Year at the Lefferts Historic House. Kids will learn how to make paper lanterns, good luck paper crafts, and enjoy traditional Lunar New Year treats. What: Celebrate the Year of the Pig with a visit to the Steinhardt Conservatory and discover Asian fruits and plants associated with the Lunar New Year including citrus, bamboo, ginger, and much more. What: Chinese-American Planning Council Brooklyn Community Services, Senator Andrew Gounardes, Assembly Member Peter Abbate, and Council Members Carlos Menchaca and Justin Brannan host this Annual Lunar New Year Celebration featuring traditional music and dance, paper lantern arts and crafts, lion dances, martial arts performances, vendors, games, a raffle, and more! What: Put on something red and bring the family to see the renowned Nai-Ni Chen Dance Company perform in colorful Chinese costumes accompanied by authentic Chinese instruments. What: Using music and a red ribbon dance, artists from the Ba Ban Chinese Music Society will tell the story of how the Chinese celebrate Lunar New Year. What: The Cosmos New Year Market will celebrate a dozen local Asian women artists, brands, and small businesses selling food, clothing, jewelry, art, and more. 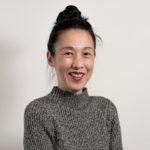 What: Hosted annually by the Brooklyn Chinese-American Association, the parade features lion and dragon dancers alongside drummers and a variety of other colorful characters. Before the parade, there will be free cultural performances and activities starting at 10:30am, with opening ceremonies at noon including speeches by elected officials and fireworks. What: Brooklyn Borough President Eric Adams and the Sino American New York Brooklyn Archway Association will host this Lunar New Year celebration with traditional Chinese cuisine, cultural performances, and giveaways. What: Join the New Utrecht Library and Chinese Theater Works in welcoming the Year of the Pig with traditional Chinese “budaixi” glove-puppet vignettes based on popular songs and stories. Participants will also learn about Chinese New Year customs and meet puppets representing the animals of the Chinese zodiac. 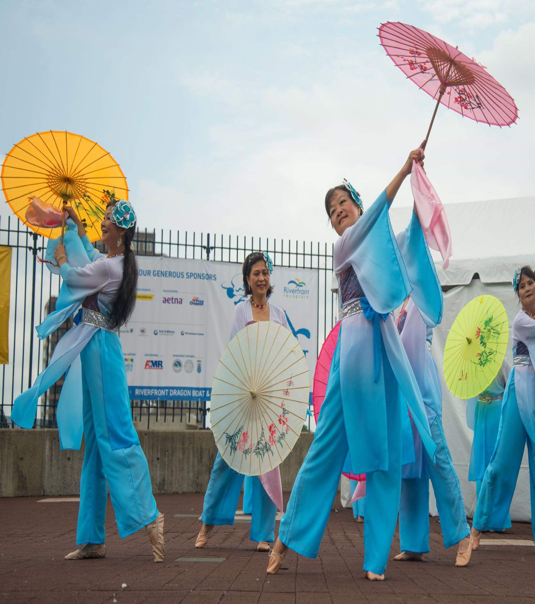 What: Asian Performing Arts will present a Chinese cultural program including dance, music, martial arts, and a ribbon dance demo with audience participation. What: This final Lunar New Year–related celebration includes martial arts performances and lion dancing.